Why Are There Different Color Fruits & Vegetables? Have you ever asked the question, ‘Why are fruits and vegetables different colors, and what does it represent nutrition wise’? Well in this blog we tap into some of the reasons why and health benefits that directly represent the colors of the food we eat. Below you will find a Vocabulary to some of the scientific / technical terms to understand more about what they actually represent. Also at the end of this post you can find the Reference list where some of the information to create this blog was located. What do the different colors represent? RED= contains pigment Lycopene which is an antioxidant that helps reduce the risk of PROSTATE CANCER, HEART & LUNG DISEASE, and other CANCER types. RED / PURPLE / BLUE= contains the pigment Anthocyanin which is an antioxidant that protects cells from damage by delaying the cellular aging and help the heart by blocking the formation of blood clots. And helps reduce the risk of CANCER, STROKE, and HEART DISEASE. GREEN= this color has a range of Phytochemicals including; carotenoids, indoles, saponins and sulforaphane. Green foods have ANTI-CANCER properties and leafy greens are a excellent source of Folate. ORANGE= rich cancer fighting alpha carotene / beta carotene that protects skin against FREE-RADICAL damage and repairs damaged DNA. BROWN / WHITE= white fruits and vegetables have healthy promoting phytochemicals such as allicin (antiviral & anti-bacterial properties). Bananas and potatoes are good sources of potassium. YELLOW / GREEN= have carotenoids lutein and zeaxanZEAXANTHIN which help maintain healthy eyes and vision. WHITE / GREEN= contain antioxidant Flavonoids Qeuercetin and and KAEMPFEROL. QUERCETIN helps treat conditions of the heart and blood vessels , high cholesterol, heart disease, and circulation problems. It also helps with diabetes, cataracts, hay fever, peptic ulcer, schizophrenia, inflammation, asthma, gout, viral infections, chronic fatigue syndrome (CFS), preventing cancer, and for treating chronic infections of the prostate. Quercetin is also used to increase endurance and improve athletic performance. So it sums up to eat as many colors as you can in your diet. Eat the skins on your fruits and vegetables where you can and try to avoid peeling them as much as you can. The skins have the richest sources of protective phytonutrients with paler flesh. The skins also contain the most concentrated sources of beneficial chemicals. Antioxidants prevent free-radical damage. Free-radicals can damage the skin by stealing electrons from the molecules that make up or cells. Antioxidants help by donating free electrons and preventing cell damage. -an uncharged molecule (typically highly reactive and short-lived) having an unpaired valence electron. Arthritis, Asthma, Dermatitis, Vasospasms, Periodontis, Sexual Dysfunction, Liver Injury, Retinal Damage, Cataractogenesis, Stroke, Trauma, and Heart Attacks. Vocabulary in order of appearance. PIGMENT: the natural coloring matter of animal or plant tissue. LYCOPENE: is a bright red carotene and carotenoid pigment and phytochemical found in tomatoes and other red fruits and vegetables, such as red carrots, watermelons, gac, and papayas, but it is not in strawberries or cherries. Although lycopene is chemically a carotene, it has no vitamin A activity. Foods that are not red may also contain lycopene, such as asparagus and parsley. ANTIOXIDANT: a substance that inhibits oxidation, especially one used to counteract the deterioration of stored food products. A substance such as vitamin C or E that removes potentially damaging oxidizing agents in a living organism. ANTHOCYANIN: a blue, violet, or red flavonoid pigment found in plants. PHYTOCHEMICALS: any of various biologically active compounds found in plants. CAROTENOIDS: any of a class of mainly yellow, orange, or red fat-soluble pigments, including carotene, which give color to plant parts such as ripe tomatoes and autumn leaves. INDOLES: is widely distributed in the natural environment and can be produced by a variety of bacteria. As an intercellular signal molecule, indole regulates various aspects of bacterial physiology, including spore formation, plasmid stability, resistance to drugs, biofilm formation, and virulence. The amino acid tryptophan is an indole derivative and the precursor of the neurotransmitter serotonin. SAPONINS: bind to bile acids and help eliminate them from the body, preventing cholesterol from being reabsorbed. SULFORAPHANE:is a compound within the isothiocyanate group of organosulfur compounds. It is obtained from cruciferous vegetables such as broccoli, Brussels sprouts, and cabbages. may increase the death of cancer cells. FOLATE: (vitamin B-9) is important in red blood cell formation and for healthy cell growth and function. The nutrient is crucial during early pregnancy to reduce the risk of birth defects of the brain and spine. FREE-RADICALS: an uncharged molecule (typically highly reactive and short-lived) having an unpaired valence electron. LUTEIN: a deep yellow pigment of the xanthophyll class, found in the leaves of plants, in egg yolk, and in the corpus luteum. ZEAXANTHIN: a carotenoid present in the retina of the eye and in many plants, used as a food additive and supplement. FLAVONOIDS: any of a large class of plant pigments having a structure based on or similar to that of flavone. QUERCETIN: a yellow crystalline pigment present in plants, used as a food supplement to reduce allergic responses or boost immunity. Greetings to all, this is the first of many, said by so many. 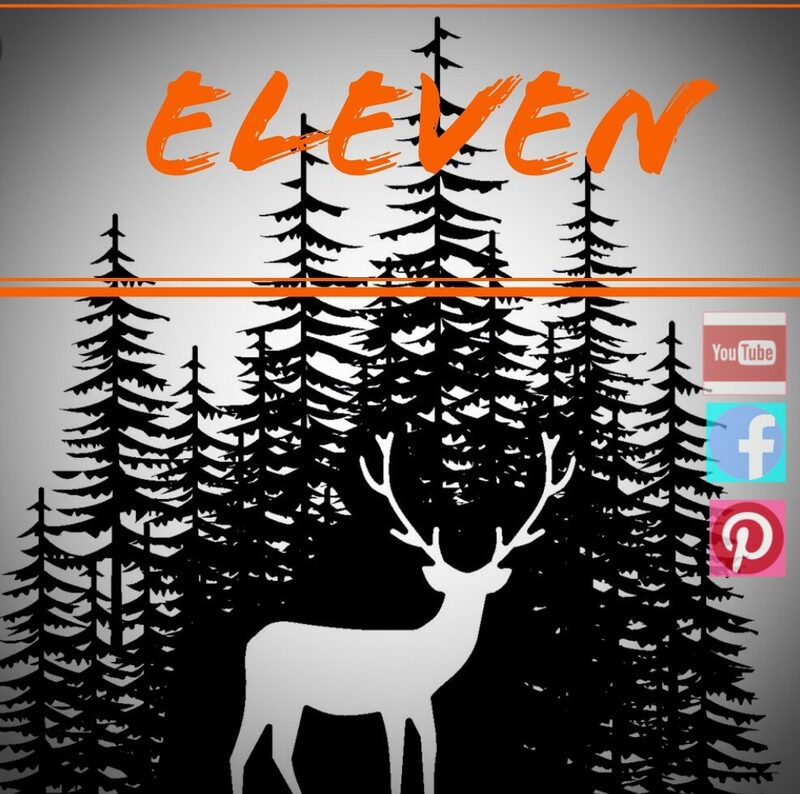 We wanted to introduce ourselves and welcome all who stumble upon our SPANK’N NEW site ELEVENSURVIVALWILDERNESS. It will be a combination of Camping tips, tricks and fun “How TO” or “DIY”, plus more. In addition , how my Wife and I got to where we are now, mentally , spiritually , Financially, and Socially. We also created a Youtube , which is a ghost town of non existent videos currently because we haven’t had the time, oh yea, and its about 8 degrees out right now. That being said while we sip our hot coco by the warm toasty fire, we bid you a farewell. Graciously thank you for visiting us, and hope to keep you satisfied with our hand-made products, thoughts and videos. We will have a few selections of hand-made FIRE STARTERS , great for wood stoves, camping, hiking, bush craft, and bug out bags. They will be available as soon as we get a Etsy account up and running…….. shouldn’t be much longer …………not yet…………not yet………..coming….soon…..